Organized and circulated by the Whyte Museum of the Canadian Rockies, Banff. Supported in Vancouver by the Canada Council, the Leon and Thea Koerner Foundation, and the District of West Vancouver. 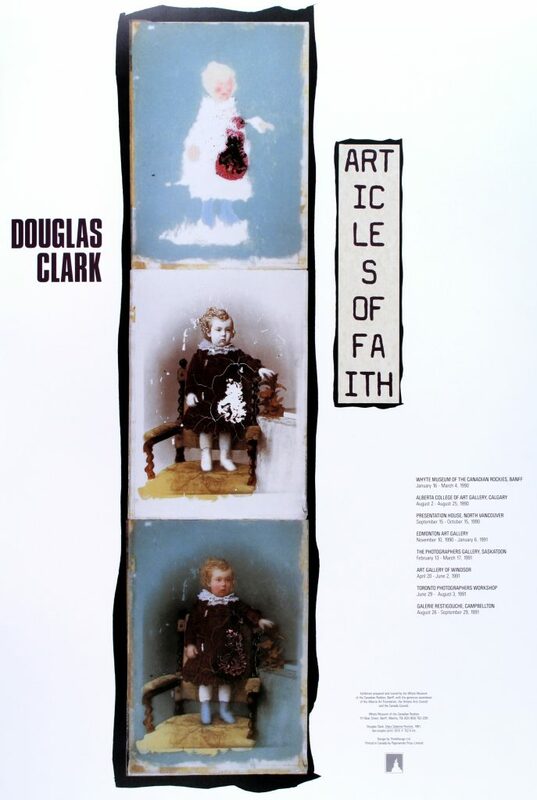 Poster for the exhibition "Articles of Faith"